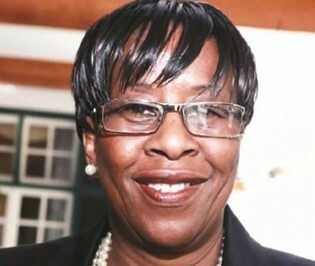 Jacqueline Zwambila, former Zimbabwe ambassador to Australia and member of the western-backed MDC party, has sought political asylum in the settler state., a photo by Pan-African News Wire File Photos on Flickr. The recalled Zimbabwean ambassador to Australia, Ms Jacqueline Zwambila made a grave mistake of using a threadbare and overused ploy in her desperate bid to get a protection visa that will allow her to stay in that country. The lame excuse she replayed to apply for political asylum was only effective during the early 2000. It no longer needs someone to be clever to dismiss such stone-aged scheme. It’s not an offence for a former ambassador to seek residence permit in a country that he or she was posted to. Examples abound of diplomats from Germany, Canada and other countries who settled in Zimbabwe after their tours of duty. It becomes an issue when the country is expediently put into disrepute in the process of acquiring such a status. The diplomats who chose to stay in Zimbabwe never demonised their countries of origin, a scenario that Zwambila should have drawn some lessons from. Zwambila claimed that she feared for her safety if she returned to this country. She, however, cannot detail the nature of the threat made on her life. This leaves everybody in their right frame of mind concluding that the woman is fabricating the whole issue to justify her stay in Australia. Her party has distanced itself from the whole drama. This is a clear admission that there is nothing political to attach to this asylum application. The MDC-T leadership knows very well that there is no grain of truth in what Zwambila is claiming. If Zanu-PF was persecuting opposition members as Zwambila is claiming, the MDC-T leadership could have fled the country a long time ago. The whole leadership of the chief opposition party is living peacefully in the country, with some hobnobbing with Zanu-PF officials in Parliament. Her party’s president is currently staying in a Government house. Thus, Zwambila’s case fails to add up. With the way the persecution allegations were hyped, everybody, including the MDC-T, is anxious to know the magnitude of Zwambila’s crime. Maybe this woman committed a serious crime that nobody is privy to and she could be suspecting that the Government is now in the know. It reminds me of a man who caught his wife in bed with another man. Instead of reacting in the expected savagery manner, the man just went away without a word. When he returned, it was business as usual as if nothing ever happened. Tortured by this peculiar reaction, the wife just decided to silently pack her bags and that was the end of it. Is this granny being tortured by the non-reaction of the Government to her diplomatic gaffes? There is more to Zwambila’s case than meets the eye. Zanu-PF has no record of persecuting opponents, moreso after a thunderous electoral victory. Ian Smith, who butchered tens of thousands of innocent Zimbabweans, was not even arrested after independence. What is so special about Zwambila’s crimes, perceived or real? A thorough retrospection of the myriad controversies that Zwambila was entangled in during her four-year stay in Australia would still not provide us with reasons for her home-phobia. The controversies do not warrant the so-called indefinite detention that she alleges is waiting for her. For starters, she is the same woman who, in a fit of rage, stripped naked in front of embassy staff in Canberra. She is the woman who allegedly made sexual advances and ill-treated an MDC-T activist, Felix Machiridza, she had taken to Canberra on the promise she would secure employment for him. She refused to pay US$2 700 to a contractor who made repairs to her house back in Zimbabwe. Zwambila was in the headlines after she attended a reunion of the former Rhodesian soldiers who were celebrating Rhodesia, an epoch that no sane Zimbabwean would want to remember. Her attendance was tantamount to endorsing whatever happened during that period. Unless you are a Satanist, you cannot attend such rituals. During her stay in Australia, Zwambila used to visit Zimbabwe often and nothing happened to her. If the Government has an issue with her, she could have been arrested during those visits. Her party’s spokesperson, Douglas Mwonzora urged the Government to give the ambassador an assurance that her safety is guaranteed. The Government has since done so through the Ministries of Foreign and Home affairs. Nevertheless, Zwambila remained adamant. Zwambila said the current government was illegitimate, a statement that exposes her double standards. If she is sincere that Zanu-PF government is illegitimate, she should have resigned immediately after the so-called illegitimate government was inaugurated. Instead, she remained in office representing a leader of an illegitimate government. She continued to receive a salary from an illegitimate government. Zwambila’s attempt to get political asylum was made after thorough political and economic calculations. She saw how hard times fell on members of her party who were in the inclusive government. She resolved not to fall into the same pit, moreso after she squandered the lucrative opportunity. But honestly Zwambila must come back and face the hardships brought about by the sanctions her party called for and which she also supported during her diplomatic posting. All the principals recognised the existence of the sanctions during the Global Political Agreement but Zwambila refused to recognise same. At least Mr Tsvangirai has learnt that nepotism does not pay. Zwambila had no diplomatic credentials. Diplomatic posting was, therefore, an oversize appointment for her. For that reason, most of the MDC-T supporters hate her with a passion. Another family appointment that has left egg on Mr Tsvangirai’s face is that of his cousin, Hebson Makuvise, who was the ambassador to Germany. It is believed that he also used the same lame and tired excuse to apply for political asylum. Mr Tsvangirai handpicked Makuvise for the job ahead of the party favourite, Dr Brighton Chireka who has vast experience of representing the party in Europe. Makuvise presided over the disappearance of several thousands of British pounds from the party’s bank accounts. He was also involved in the infamous US$1.5 million double dipping scandal which roped in Tsvangirai. His reluctance to come back home is motivated more by fear of personal humiliation than what he wants us to believe. Germany, which prides itself on democracy, cannot stoop so low as to harbour a criminal. Only fools can believe these envoys’ spurious stories. We are yet to see if we don’t have one in either Germany or Australia.